Gay rights becoming an issue that is so dividing of political parties. We hear people of the Christian faith using the bible (a 3500 year old book they try and interpret) to defend their thoughts on how gays shouldn’t have the same rights as straight people. How being gay is a sin and that somehow, someway it’s a “choice” that we make to be gay. But no, it’s not a choice. 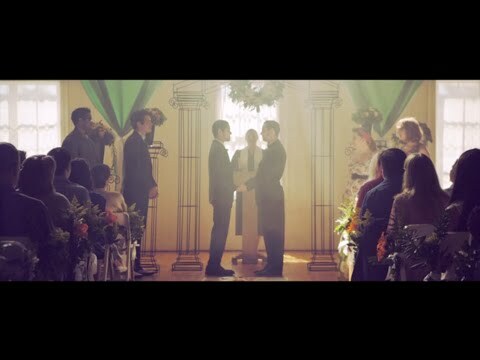 Those were the words from the song Same Love that I just heard today on the radio for the first time (apparently the song has been out since October. Have I been living under a rock?) and, for obvious reasons, I instantly connected with it. This was the first time that I ever heard a song that was so clearly angled at the support of gay rights on the radio. And I think that’s just, huge. Our message is getting out there to the masses and it’s a beautiful thing. If you haven’t heard the song, you can check it out in this YouTube video. It's interesting. Gay rights becoming an issue that is so dividing of political parties. We hear people of the Christian faith using the bible (a 3500 year old book they try and interpret) to defend their thoughts on how gays shouldn't have the same rights as straight people. How being gay is a sin and that somehow, someway it's a "choice"